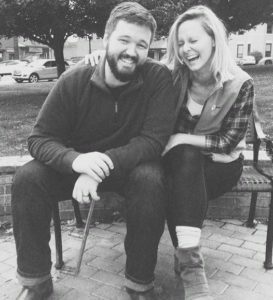 David & Meghan Killingsworth began at FUMC Sanford in July of 2017 as Co-Pastors after graduating with Masters of Divinity Degrees from Duke Divinity School in Durham, NC. They have an incredibly friendly & energetic son, Moses, and an old faithful dog named Griffin. Previously Central Florida residents, David and Meghan are passionate about the Central Florida community and the way that God is calling us to care for one another, and especially the most vulnerable members of our community. Both David and Meghan had a special focus during their studies on ministry alongside those who are incarcerated and their families, after having been struck so deeply by the ways that our Lord was treated during his incarceration, and the ways that scripture talks about God’s concern for those in jails and prisons. Meghan spent a number of years working in church and social work settings alongside youth experiencing homelessness, families in poverty in Orange County and families in a number of local church settings. David spent a number of years in restaurant work, the entertainment industry and also in youth ministry before attending seminary. We look forward to getting to know the Sanford community and partnering with you all to love God, each other, and the broader community of Sanford with deep compassion and concrete action.